Brian Kaylor's Sacramental Politics: Religious Worship as Political Action is a genuine treat for those who think theologically about American politics. In the tradition of Niebuhr, Kaylor looks at the intersection of politics and religion -- particularly at how religion impacts American politics. 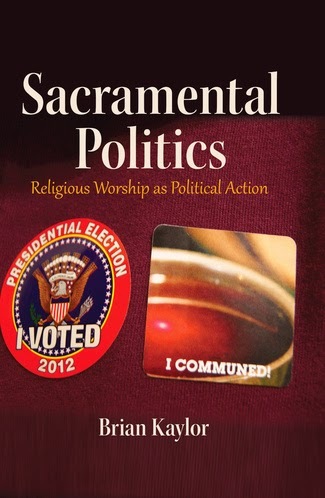 ... Kaylor's Sacramental Politics is an important contribution to the intersection of politics and faith. And it offers wisdom for pastors in speaking prophetically to political power. It can't be missed! I appreciate his thoughtful review that engages nicely with some of my arguments. And I hope more people will check out the book.